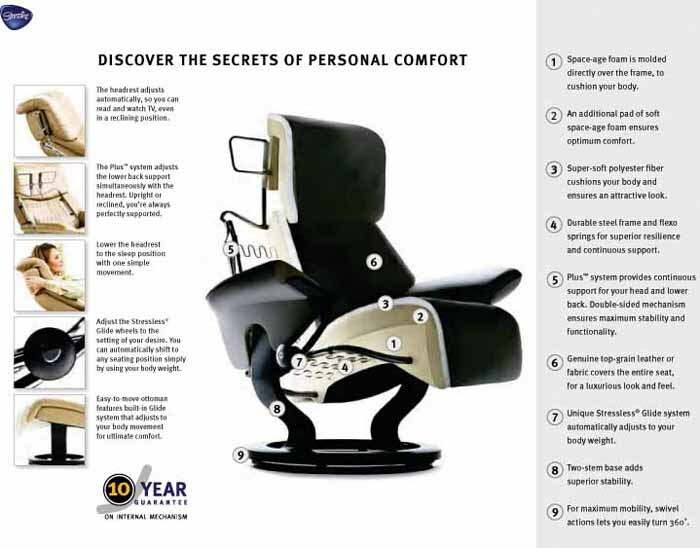 Stressless Recliner Chair and Sofa Warranty Information - Ekornes Stressless Recliners, Stressless Chairs, Stressless Sofas and other Ergonomic Furniture. Stressless Recliner Chair 10 Year Limited Parts Warranty. 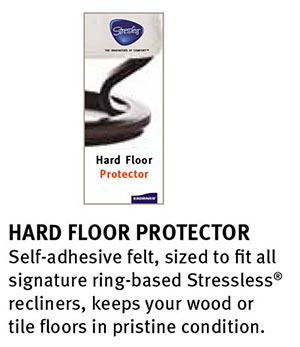 Add a 5 Year In-Home Warranty below. Ekornes guarantees the internal mechanisms of the Stressless Recliners for a period of 10 years from the date of purchase. The 10 year guarantee covers the Plus™-system and the internal metal frame, including the metal springs and gliding system. It does not cover damage to leather or woodwork or any faults or damage caused by the use of the product other than in accordance with the manufacturer's recommendations, as well as any faults or damage arising from any repairs made by any persons not authorised by the manufacturer. The standard warranty is for parts only. For Parts and Labor you can add a 5 Year In-Home Parts and Labor Warranty for $249. Years 6-10 would be for parts only if purchasing the 5 year extended warranty. *10 year Parts Warranty: The 10 year warranty covers the Plus system and the internal metal frame and springs, including the glide wheels. 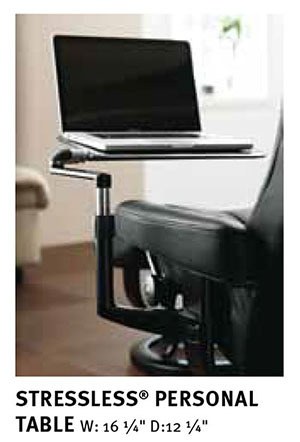 *5 year Parts Warranty: The 5 year warranty covers the wooden laminate base for the chair and ottoman, including the swivel ring as well as all the foam and interior padding in the chair and ottoman. Exclusion: any damage from fluids penetrating through the upholstery. Please note that some deformation and indentation in padding is considered normal and is part of a break-in process. 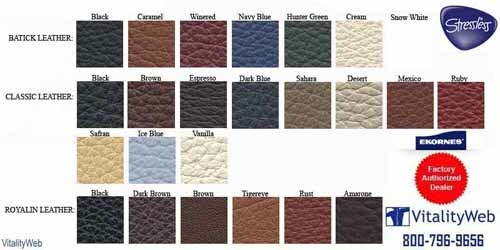 *1 year Parts Warranty: The 1 year warranty covers the leather upholstery including stitching and zippered assemblies. Exclusions: fading and color-fastness, or roughness caused by hear or sunlight. Any damage caused by failure to clean and maintain regularly, or by use of chemicals,cleaners or conditions not recommended by Ekornes. Any damage caused by spills of food, drink or any liquids. Any damage caused by saturation with sweat or other body fluids. 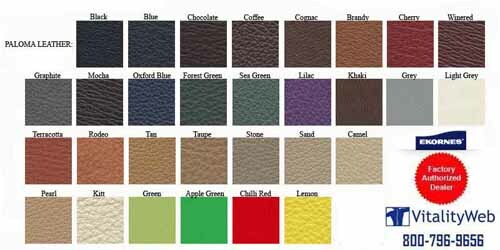 Please note: leather is a natural product. It requires regular maintenance to insure long wear and to retain its appearance. Natural markings such as scars and insect bites from barbed wire or other abrasions such as stretch marks and folds in the skin and from other sources are not considered defects. General Exclusions: Any damage caused by moving, alteration, unauthorized repair, abuse and negligence. This warranty is extended only to the original purchaser. 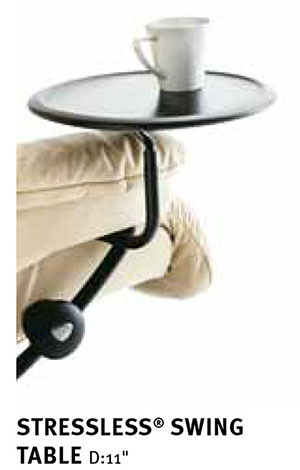 Ekornes reserves the right to repair or replace the defective merchandise in part or completely. All warranty claims must be processed through the original retailer. The guarantee is only valid when registered within six months of purchase.